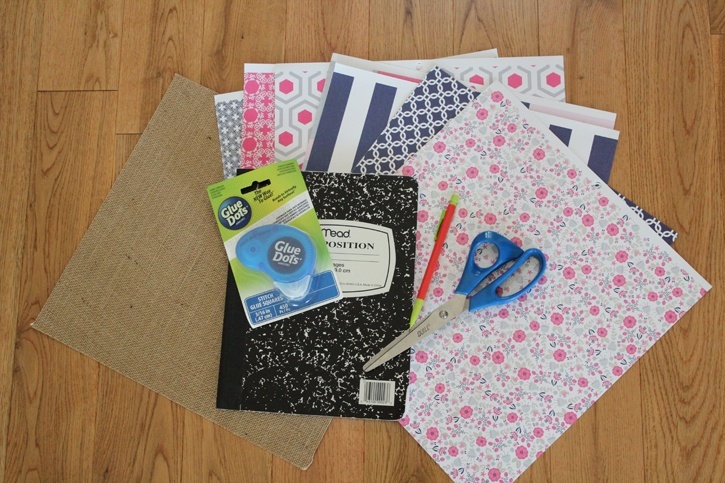 Whether you're getting heading back to school or are starting a new journal, add your own personal touch with patterned papers and Glue Dots. 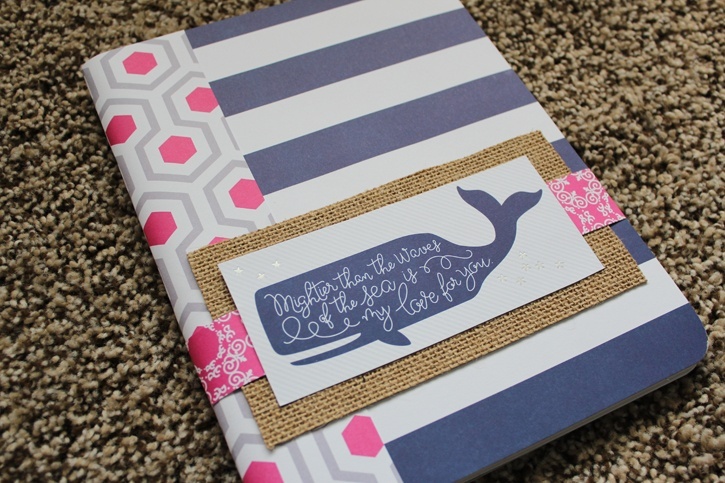 Customize your journal with your style and your colors. Here's how. 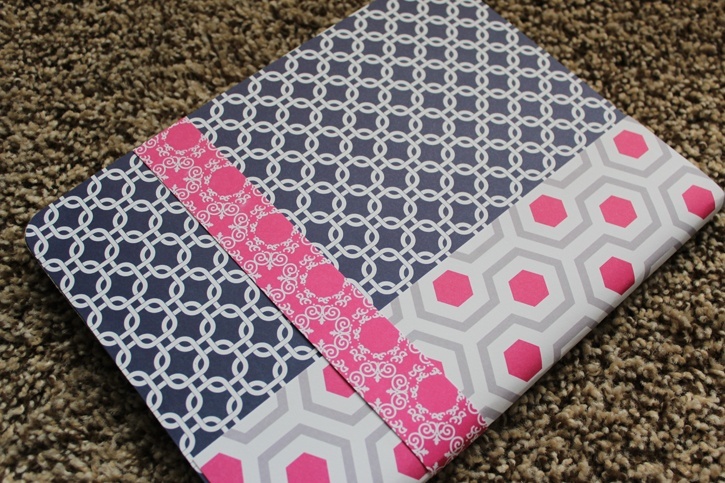 Trace each side of the notebook onto a piece of patterned paper. This will ensure the paper is the correct size. 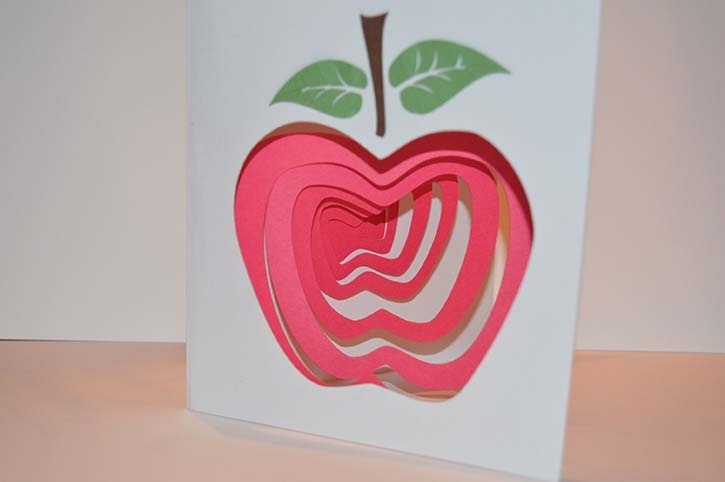 Cut out paper. 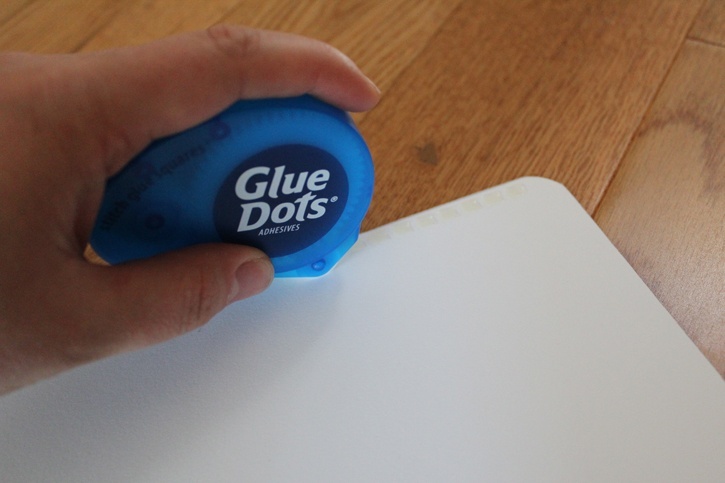 Apply Stitch Glue Squares to the edges of the back side of the paper. 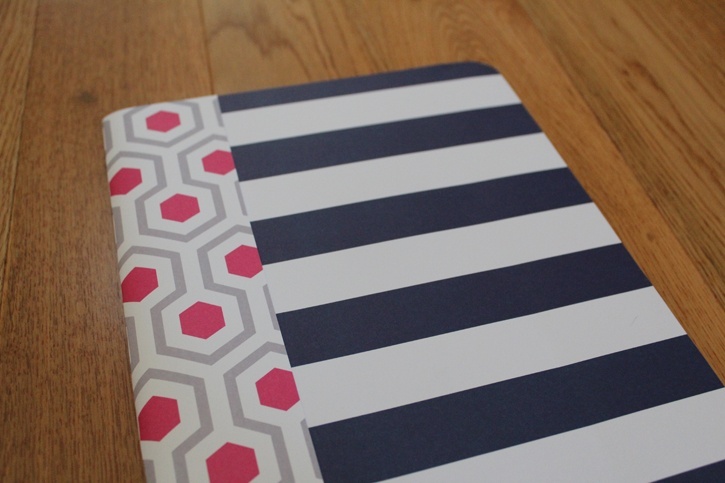 Adhere paper to the notebook. 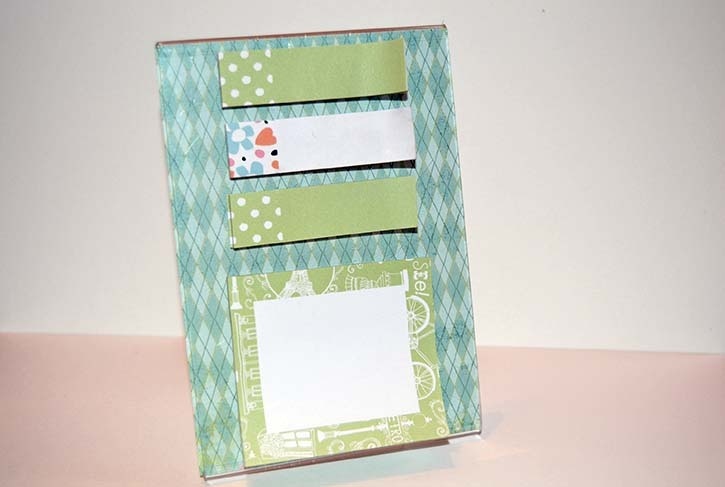 Cut out a strip of paper about 4 inches wide and as tall as the notebook. Apply a strip of Stitch Glue Squares down the length of each side as well as the center. 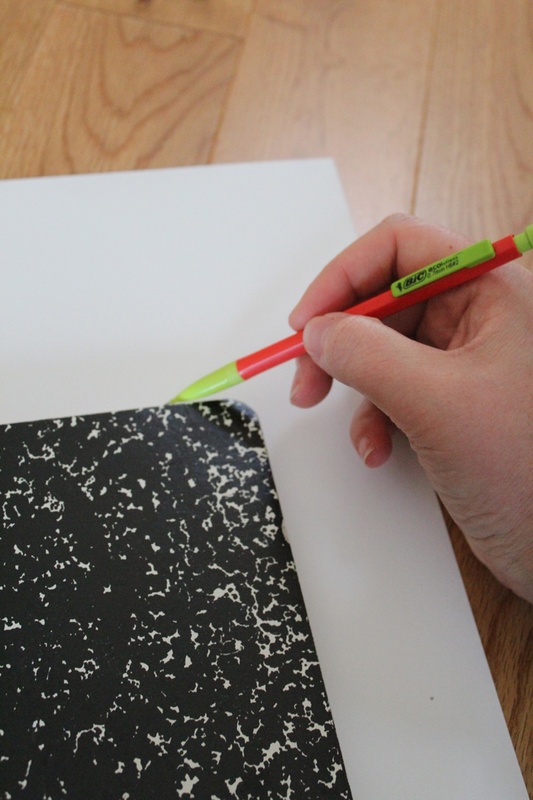 The center is important so the paper stays intact while you open and close the notebook. 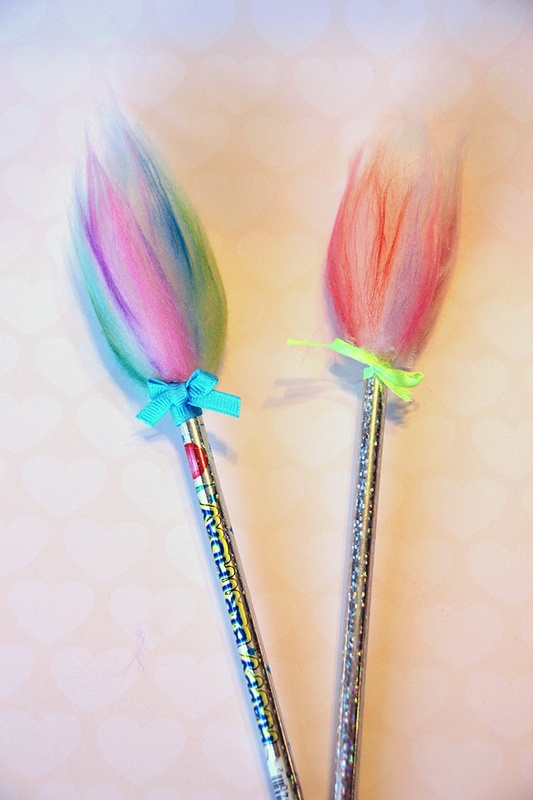 Cut out and apply other piece of paper and embellishments as desired.